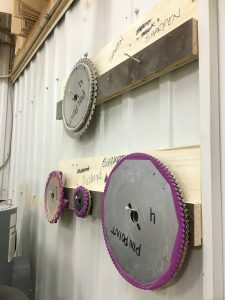 Like many skilled trades, Contractors and Supervisors in the Carpentry trade are in demand. 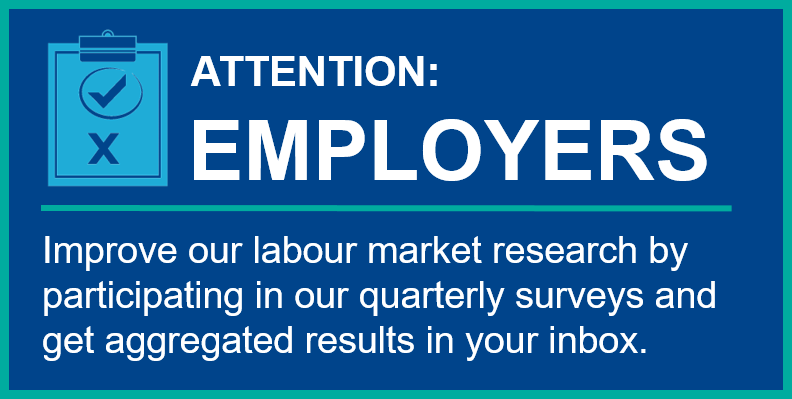 You can learn more about being a Supervisor in the carpentry trade through our detailed Career Profiles. 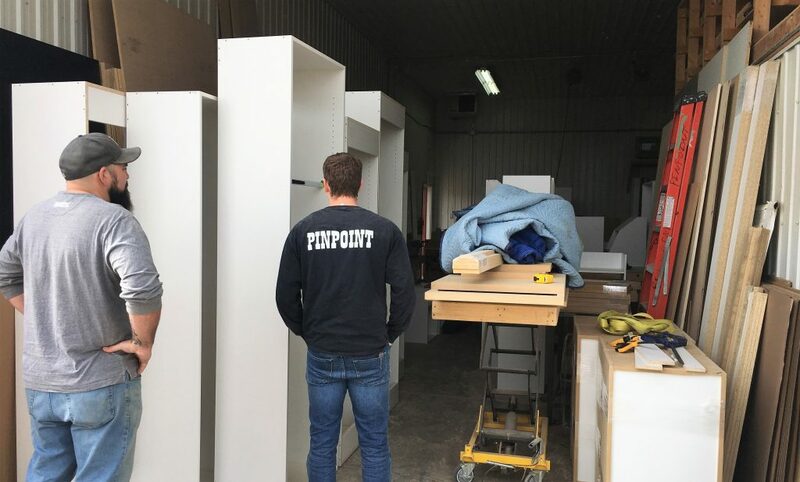 Mike Kizis is the owner and contractor/supervisor of PinPoint Carpentry, a small carpentry company in Tecumseh. 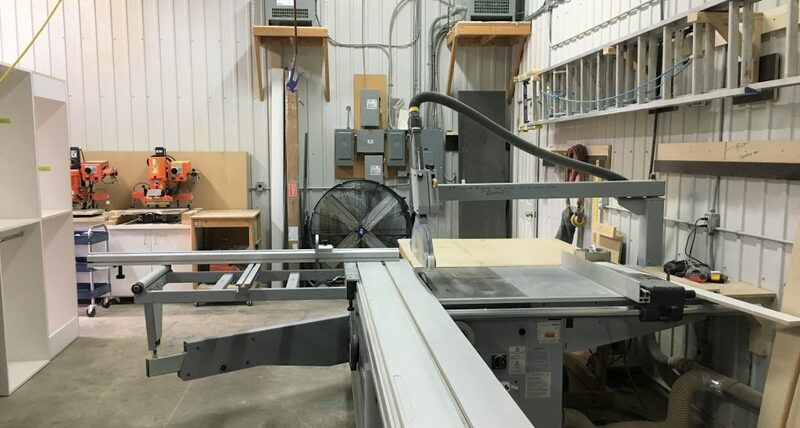 They create custom cabinetry, mill-work, and install trim. 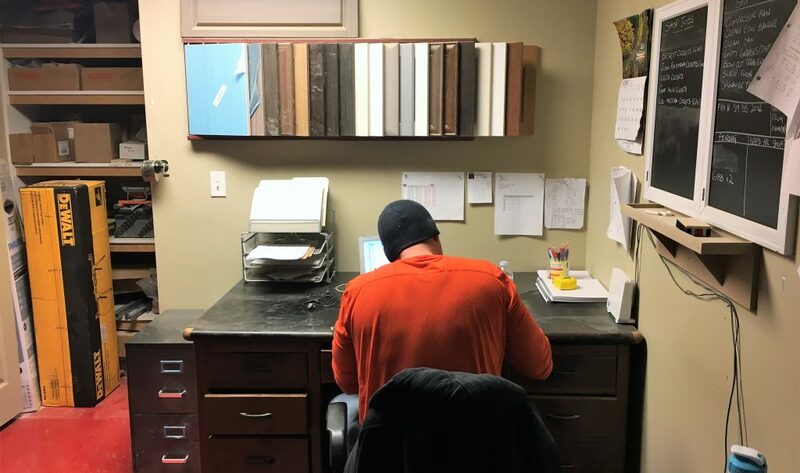 We met with Mike during his busy day to talk about what it’s like to be contractor/supervisor in this trade, and what type of work he does on a daily basis. My day starts by calling my various crews of installers and going through their plan, and getting an update from them about what their progress has been on the job, and their predicted date of project completion. I also check to see if they need anything, sometimes they need something made in the shop, or I may need to talk to a builder for them. It’s important that I do whatever I can to make the project more efficient. After that I meet with my foreman in the shop and discuss what’s happening in the shop. 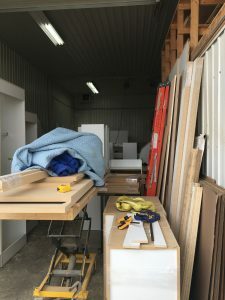 I help load the finished pieces into the truck, and deliver it to sites. Then it’s essentially a combination of instillation and meetings. I try to help the instillation teams by installing trim or cabinet projects 2-3 times a week. My meetings are with perspective clients and checking in on projects at different sites. Finally, I spend a couple hours on my computer- drawing and quoting future jobs. What was the pathway that lead to starting up your own company? Necessity- I was apprenticing at the time under a gentleman and the economy took a drive, it was 2006 and I was laid off. I realized I needed to take action if I wanted to keep working. So, I approached some builders that I had met in the industry, and asked if they would give me a shot installing their trim. They said yes, and that lead to me working full time, running my own business and it snowballed from there. 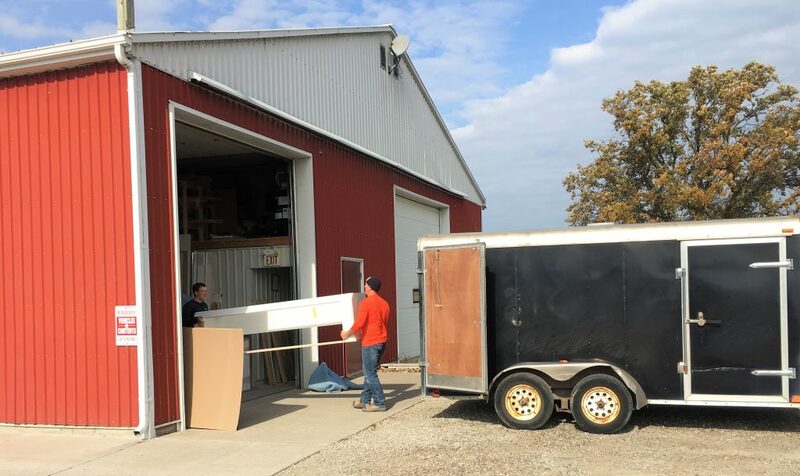 Every year since then I’ve hired on a little more help to keep up with the demand, and now, almost 12 years later we’ve got a shop in Tecumseh with 12 employees: 8 people on 4 full-time instillation crews doing trim and service, and 4 people in the shop making the custom cabinetry. What would you say is the most challenging part of managing your team? Managing time- we want to make sure we’re able to give the best end result, but we also need to make sure we have enough time to do it. Scheduling with the builders and the other crews on a job site can be challenging because everyone’s on their own timelines. We’re not always given the ideal amount of time to do the job. We often have to fit a 5 day job into 3 and 1/2 days, while still maintaining the quality that we are known for. Having all the crews work together to produce a quality finished product. 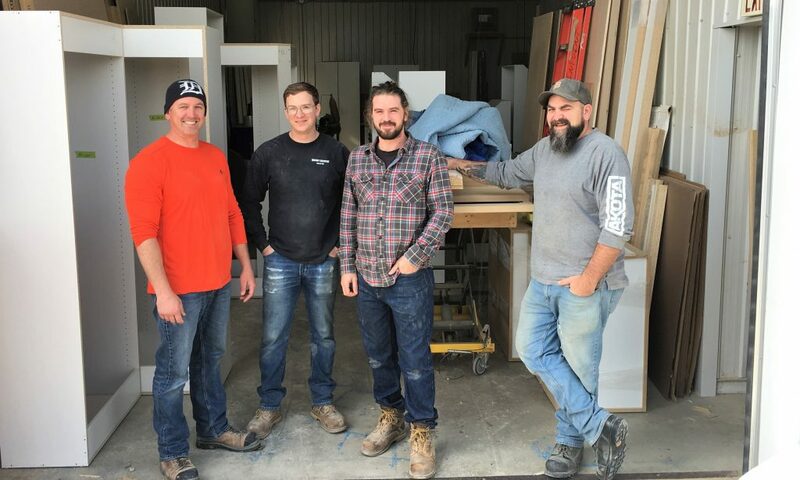 It really takes the full team- from measuring a space, to the people in the shop ordering supplies and making the custom pieces, to the install teams doing the cabinet installs and trim details, it’s great to see it come together. I’m happy when the customer is happy. My personal favourite part of the job is still installing. It’s how I started and I worked hard to get good at it. I’m still the happiest at the end of the day when I can just do what I’m good at. What skills are needed to be in your crew, have you been able to find workers with these skills? To work with us, you have to have a desire to learn, and a drive to improve and be excellent at what you’re doing. We’re not just going through the motions for a paycheck. We’re all paid hourly, so if you take that time and ensure quality work, that’s extremely valuable to us. Once you develop the skill for never settling for work that is sub-par, you’re invaluable to the trade community. Builders, carpenters, whatever the trade is, people will really pay for quality work. 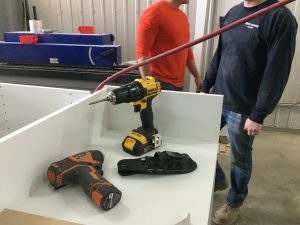 There’s a stigma out there about being in the trades; what a lot of the younger kids don’t realize is that there are companies desperately in need of quality trades workers. If you’re committed to excellent work all the time, you’re worth your weight in gold to us.